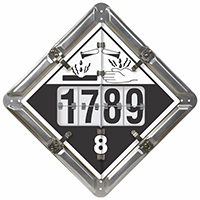 Contents Combustible, Corrosive, Flammable, Inhalation Hazard, Poison DOT placard flip panels. 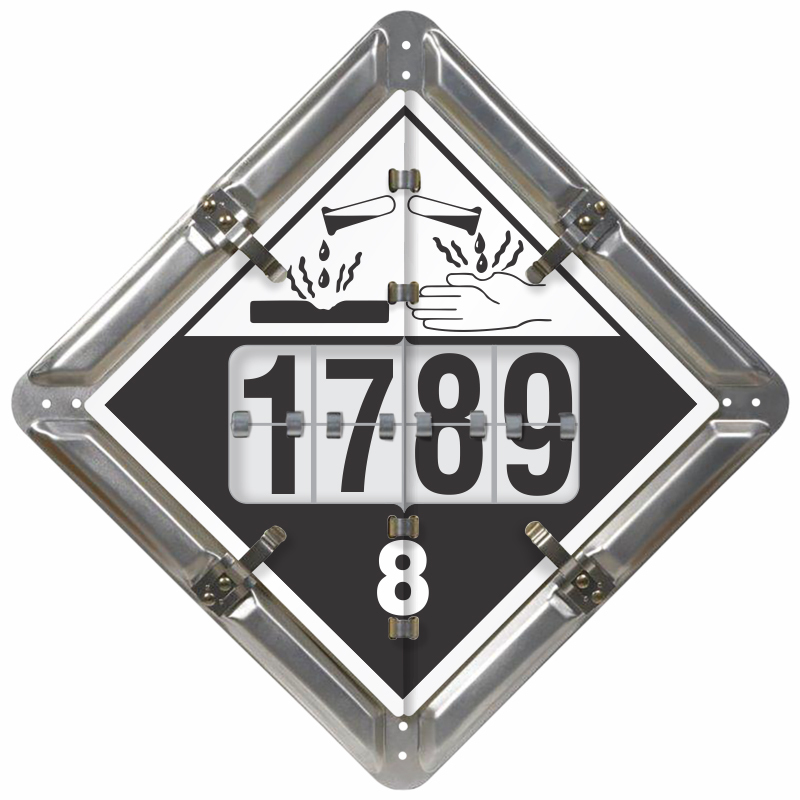 DigiLock™ placards are ideal for truckers with frequently changing loads. Just look up the rating from the manifest, change the UN number, flip the placard sheets to the right legend and then lock it all down. • Placards and numbers are printed on the industry’s heaviest aluminum (33% thicker than the competition) in vibrant colors. Panels are printed to the edge, just as the regulations show (again compare this to others). • Screen printed panel features a vibrant, weather-durable DOT legend – proven to last. Base panel has “easy-to-drain” channels – proven to work and reduce grime/ice buildup by truckers for years.